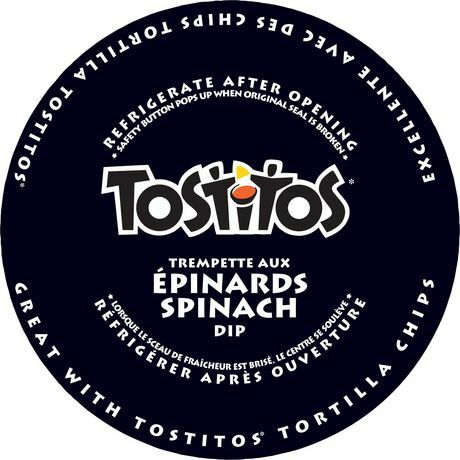 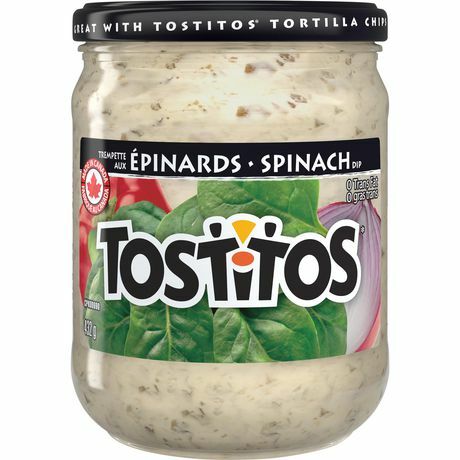 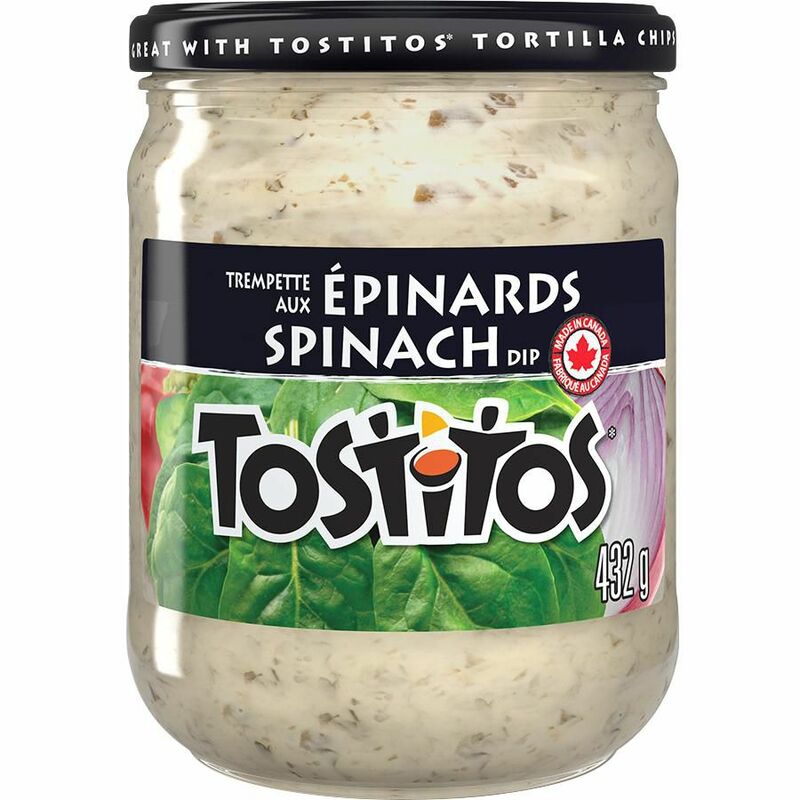 Tostitos® Spinach dip is a delicious blend of spinach and other flavourful ingredients that is perfect for any Tostitos® tortilla chip! 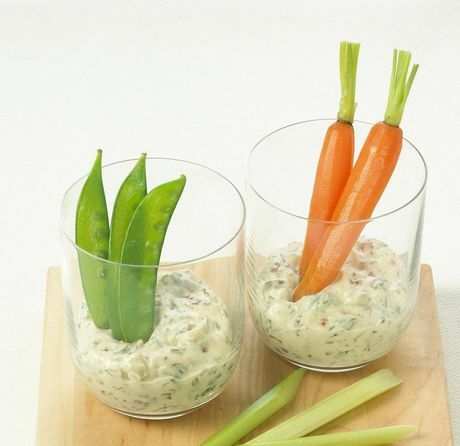 Store this tasty, creamy dip in your pantry to use alongside a quick snack or a main meal. 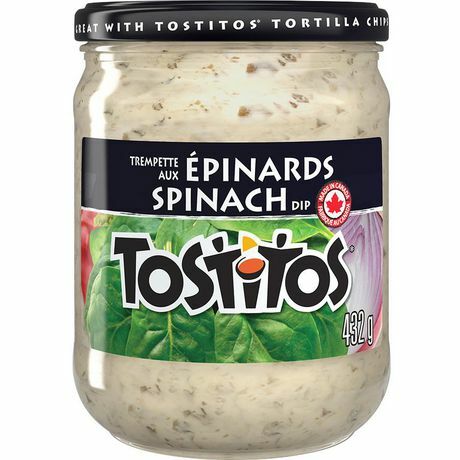 Water, Spinach, Vegetable Oil, Red Bell Peppers, Water Chestnuts, Whey Protein Concentrate, Onions, Modified Corn Starch, Modified Tapioca Starch, Salt, Sugar, Vinegar, Garlic Powder, Lactic Acid, Flavour (Contains Modified Milk Ingredients), Diacetyl Tartaric Acid Esters Of Mono-And Diglycerides, Torula Yeast, Monosodium Glutamate, Sodium Phosphate, Xanthan Gum, Citric Acid. 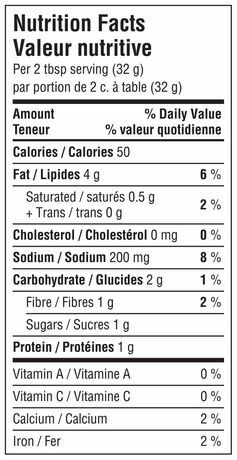 Contains Milk Ingredients.